Accepts foot traffic after 3-4 hours - fast setting for minimal hindrance when laying vinyl flooring. An easy to use single pack ready to mix with either water or latex liquid. Coverage - 20Kg bag will cover approximately 3.5m 2 at a depth of 3mm (this will depend on the condition of the sub-floor). 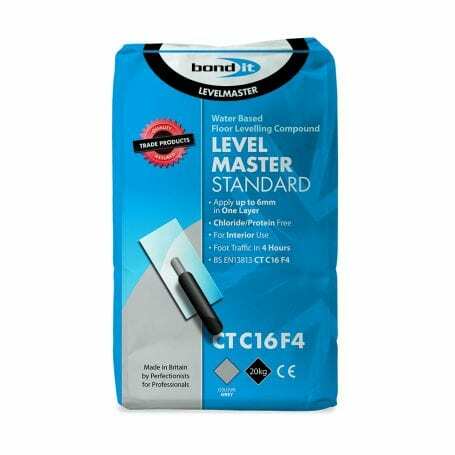 Self-Levelling Compound is an ideal solution for levelling most common solid / concrete internal sub-floors prior to the installation of floor coverings. A two part, cementitious, chloride / protein free, levelling and smoothing compound. 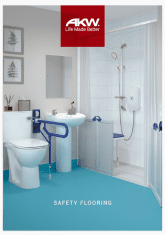 When mixed with water it provides a smooth, level base for most common internal floor types such as concrete and sand / cement screed.